The iconic futuristic Nike Air Mags that are worn by Michael J Fox, is character Marty McFly in the 1980s classic “Back To The Future Part Two”, an exact replica of the crazy shoes shown in the film complete with an electroluminescent sole, a 30,000 hour rechargeable battery and the iconic self-tying laces. The Air Mags were released in a batch of only 1500 pairs. 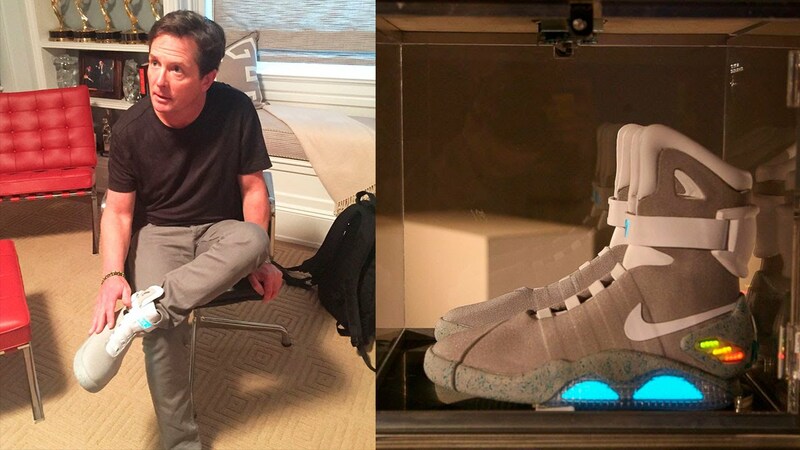 The first pair of the batch were auctioned off on behalf of Michael J Fox as Parkinson's disease charity. They were purchased for $37,500 by British rapper Tinie Tempah. Sneakers that were made specially for American Big Boi of Outkast Fame, if you aren't familiar with Big Boi as an artist all you need to know is that when it comes to fashion and bling the Big Boi never holds back and this was certainly the case when he became the recipient of a pair of special Nike Air Force Ones. It has small matter of 11 carats worth of diamonds and a healthy helping of gold as well the inclusion of the precious metals and gemstones; took the value of the Air Force Ones to a whopping $50,000. The first mention of one of the most recent widely successful superstar sneaker collaborations in recent years Yeezy otherwise known as Kanye West, this particular pair are the same shoes the rapper wore at the 2008 Grammy Awards which were coincidentally the same that were also used to announce the now iconic partnership with Nike. Different varieties of our Yeezys have gained huge popularity in recent years to become some of the most valuable shoes on the planet and though these Grammy prototypes were originally listed for $75,000 you can now pick them up for $50,000. It's safe to say that hundreds of different Nike Air Jordans are worth thousands of dollars simply due to the name of the iconic basketball legend that they carry, but when you take in the consideration of the presence of an actual autograph by the culture unifying superstar you can sit back and watch the value shoot into the sky. This particular pair just so happened to be personally scribbled on by the great man himself taking their value from a couple hundred dollars to an eye-watering sixty thousand dollars; they imagine having a name and identity that commands that much of a jump in rarity and worth. 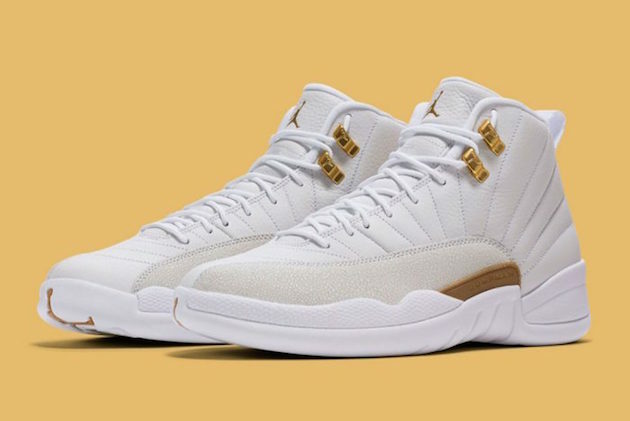 Canadian rapper Drake is one of the most fashion-forward figures in today's hip-hop industry and when he signed on with the Air Jordan brand he was presented with a special pair of Air Jordan 12s, that in an act of random kindness he ended up gifting to a woman at a Toronto Raptors game. The women put her sneakers from Drake on sale and made an amazing $77,000 now that's what we call getting bang for your buck. Interestingly at the same game Drake also gifted a pair of Air Jordan 10s, which only made $15,000 when sold. this pair of Air Jordan 12s that were born by Michael Jordan himself during his infamous flu game this game was the 1997 Finals against Utah Jazz, when despite suffering from a severe flu Jordan managed to score 38 points and secured his beloved Chicago Bulls a historic victory. Clearly ailing during the game Jordan was fed some applesauce by a young ball boy in an attempt to make him feel better and as a thank you, the NBA star gifted him his match sneakers. Almost two decades after that fateful day the now adult ball boy sold those special shoes for a staggering $104,765, that's not bad at all for a small bowl of applesauce. 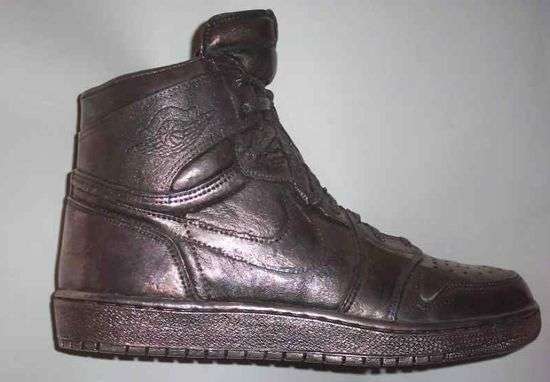 These shoes were sold June of 2017 again these were worn by Michael Jordan. 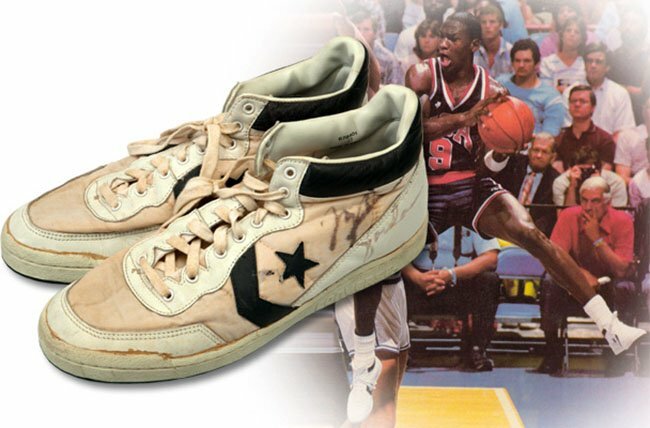 This time in the game against Spain in the playoffs for the gold medal in the 1984 Olympics in Los Angeles, unlike the other Jordan sneakers that appear on this list, this pair are actually converse and are the last pair of Converse sneakers Jordan wore in an official game which was also Jordan’s final game. As an amateur following the 96 to 65 win by the USA in which Jordan scored 20 points; he turned professional and signed the now-famous deal with Nike the converse shoes are autographed by Jordan. We’ve already seen a pair of Nike Air Mags as seen in “Back to The Future” earlier on this list but that price of $37,500 was easily beaten by the price paid in three special options in 2016. The production run was 489 pairs only and were to raise money for the Michael J Fox foundation, most pairs were raffled off with a ticket price of $10 but the three pairs that went to auction raised amazing sums. The first pair reached $140,267 in Hong Kong, the second pair went under the hammer in London for $56,000 but the final pair beat them all reaching $200,000 in New York's auction. Named “The Fire Monkey” in celebration of the Chinese New Year these sneakers for a 2016 collaboration between designer Dan Gamache of mash custom kicks and New York lifestyle label. They were designed specifically to raise funds at auction for soles for Souls an organization that aims to combat poverty through the collection and distribution of shoes and clothing. The sneakers are a custom riff on a leaning way of weight for silhouette and has a solid gold souvenir tag embossed with the logos of the two companies hanging from the laces, which have Aglets dipped in diamonds. The upper of the sneaker bares a blue white and gold Daisy pattern studded with chips of diamonds and sapphires set in 18-karat white gold. The story goes that when Kanye West was promoting his latest record, he wanted the perfect pair of sneakers thus the Air Yeezy 2 Red Octobers were developed with Nike and as you might expect when the shoes were released they sold out almost immediately, however one historic pair did find their way onto eBay in the sell out aftermath and in record-breaking fashion. The bidding war escalated to a final price of 17 million dollars, due to the nature of eBay there's no way to confirm whether whoever bid the gargantuan amount for the sneakers actually came through with the cash but nevertheless officially that pair of Air Yeezy 2 red Octobers go down in history as the most expensive sneakers ever.